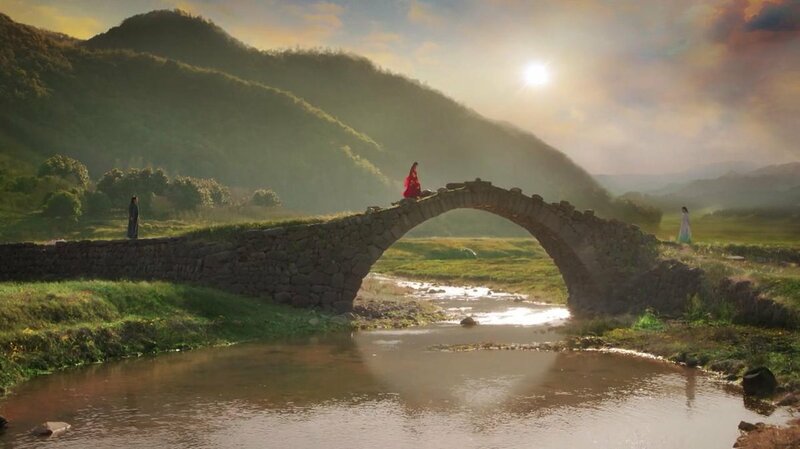 Goodbye My Princess 东宫 is based on a popular Chinese novel of the same name. The sound, set and script were all very well done. A quick compare with Princess Agents (2017) (both are based on time periods like the Warring States period) demonstrates just how far Chinese dramas have come by way production value. Admittedly I started watching Goodbye My Princess because of the promise of two endings — the original sad ending and an alternative happy ending — unfortunately that rumour turned out to be false and Youku issued a statement that this drama would be true to the novel (although there is an epilogue which I will go into more detail in the Episode Guide below). While you probably won’t find a couple you can wholeheartedly get behind in Goodbye My Princess (I recommend The Story of Ming Lan for that), the story was beautifully told. Most viewers will already know the ending but for those who don’t, I won’t spoil it here (there will be spoilers below in the episode guide). 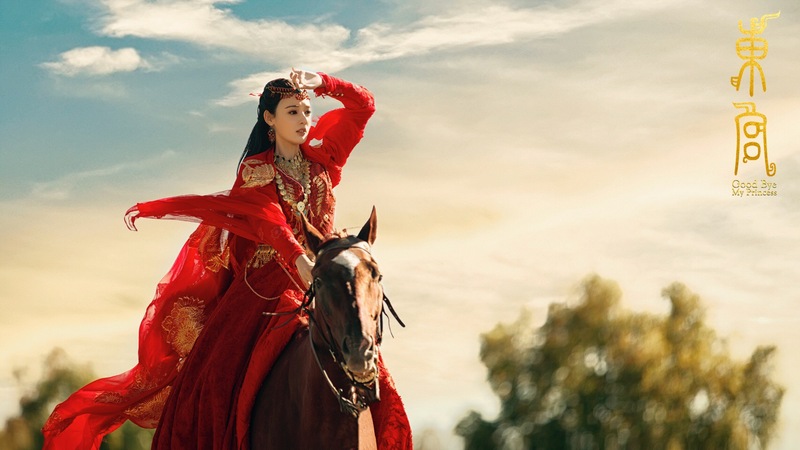 The drama is about Xiao Feng (portrayed by Peng Xiao Ran 彭小苒, widely known as Fan Bing Bing’s 范冰冰 protégé), the 9th Princess of the Wei. Well-meaning Xiao Feng is adored by everyone around her and as result is petulant and self adsorbed. As a consequence of her family’s connection, princes from various kingdoms want to marry her. However, an arranged marriage for the free-spirited Xiao Feng is out of the question. Amongst those princes is the ambitious 5th Prince of the Li Empire, Li Cheng Yin (portrayed by Chen Xing Xu 陈星旭) . In an effort to bring peace to his kingdom and seek revenge against the Danchi people he disguises himself as Gu Xiao Wu — a tea merchants son — to befriend Xiao Feng and infiltrate the Wei/Danchi stronghold. Second male lead Gu Jian (portrayed by Shawn Wei 魏千翔) is Cheng Yin’s older cousin and Xiao Feng’s teacher. He is complicit in Cheng Yin’s betrayal of Xiao Feng but at the same time is also deeply in love with her — he is the resident conflicted/tormented character. I have to say that I didn’t think I would enjoy this drama (I usually stay away from tragedies) but as the story progressed I found myself totally absorbed in the story. This drama in lot of ways was a combination of Ten Miles of Peach Blossoms and The King’s Woman (memory loss, self-sacrifice, multiple lives…). I’ve already mentioned that the cinematography and soundtrack were exquisite but the acting… female lead Peng Xiao Ran could have done better. Although her playful nature came out, her other expressions felt a bit strained — she also eerily resembles Angelababy, don’t you think? As a couple though, Xiao Feng and Li Cheng Yin worked really well together. Watching Peng Xiao Ran (who was 27 years old at the time of filming) playing 18 year-old Xiao Feng alongside Chen Xing Xu (who was 21 years old) playing the older Li Cheng Yin didn’t actually feel that weird to me (unlike I Will Never Let You Go) what did you think? The first arc sets up the background to our characters and in a lot of ways explains why they are the way they are. Xiao Feng is protected fiercely by her mother, her grandfather and teacher and as a result she is carefree, forthright and warm. Li Cheng Yin on the other hand, is the 5th Prince and has to battle not only for the throne but for his survival. In the first arc he witnesses the murder of his older brother (the Crown Prince) which supposedly was caused by the Danchi people (Xiao Feng’s grandfather’s tribe) and finds out that his birth mother was murdered by his legitimate mother (the Empress). 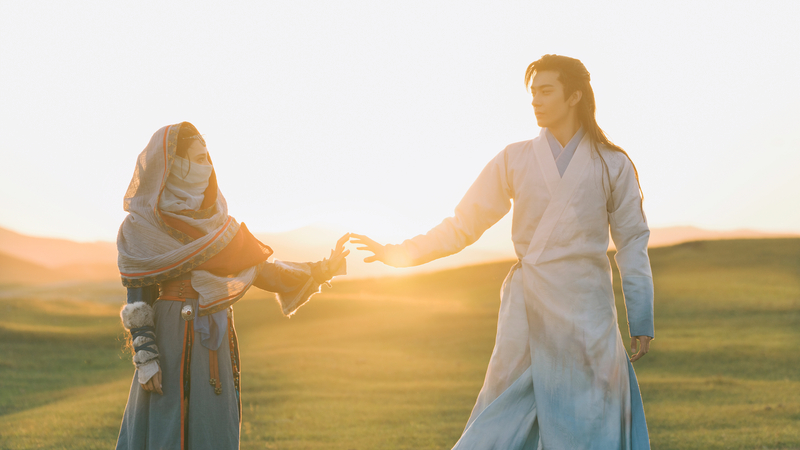 Although Li Cheng Yin at the beginning plans to use Xiao Feng to further his power and seek revenge, her earnestness and warmth cause him to fall in love with her. This is much to the chagrin of Gu Jian who initially sets Li Cheng Yin up with Xiao Feng to avenge his family (who have been wiped out) but later deeply regrets it. Despite Li Cheng Yin genuinely falling in love with Xiao Feng he executes his plan and betrays Xiao Feng by killing her grandfather, forcing her mother to commit suicide and driving her father mad. 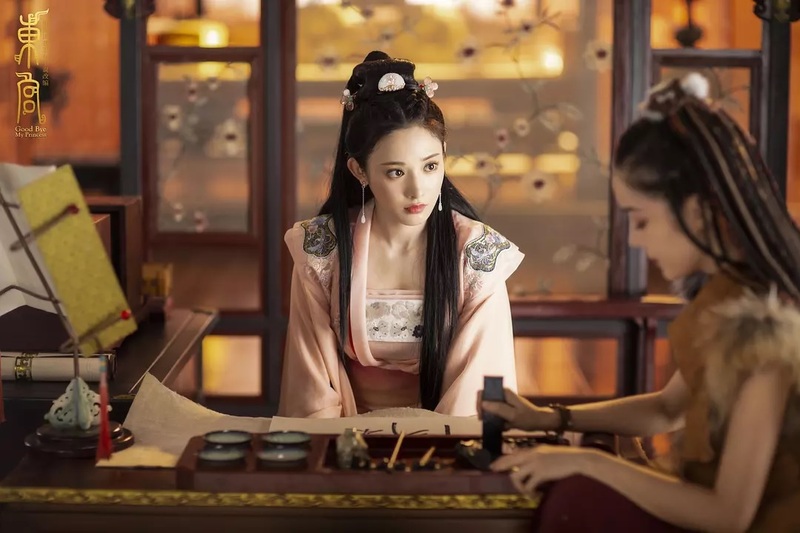 To further strengthen is power he also plans to marry Xiao Feng (who is connected/has influence on both Western Province, through her father, and the Danchi, through her mother). Grief-stricken Xiao Feng (who genuinely fell in love with Li Chen Ying) seeks the River of Forgetfulness to forget the pain caused by the man she thought she knew (and loved). With the assistance of A’du (her loyal friend and maidservant) she finds the River of Forgetfulness and jumps in. Li Cheng Ying follows her into the river and as a consequence also loses his painful memories, namely his love and betrayal of Xiao Feng. With their memories wiped, Li Cheng Yin and Xiao Feng start a new life in the Eastern Palace in the Central Plains. Xiao Feng, accompanied by loyal maidservant A’du (who pretends to be mute in order to stay by her side) becomes accustomed to life in the Central Plains while she waits to be married to the Crown Prince (who is Li Cheng Yi, second older brother). Li Cheng Yin who is still manoeuvring to become the Crown Prince is in a relationship with Zhao Se Se. Despite both being betrothed to other people, there is an obvious connection between Li Cheng Yin and Xiao Feng (even SeSe realises!). Ultimately, Li Cheng Yin outmaneuvers his older brother, exposes his corruption and his role in the murder of the previous Crown Prince which has him sentenced to death. Thus Li Cheng Yin is now the Crown Prince who Xiao Feng has to marry. Gu Jian returns (like a ghost in the night – literally). Although he has turned to alcohol get rid of the guilt he feels towards Xiao Feng he will also try and win back Xiao Feng’s heart (in Arc 1, Xiao Feng was initially in love with Gu Jian before the arrival of Gu Xiao Wu). Ultimately, Li Cheng Yin marries Xiao Feng (for the second time) in the Central Plains on the same day he takes Zhao SeSe as his concubine (I preferred their Danchi-styled wedding). the Gu family redeeming their family honour. Xiao Feng and Li Cheng Yin grow a lot closer in this arc. 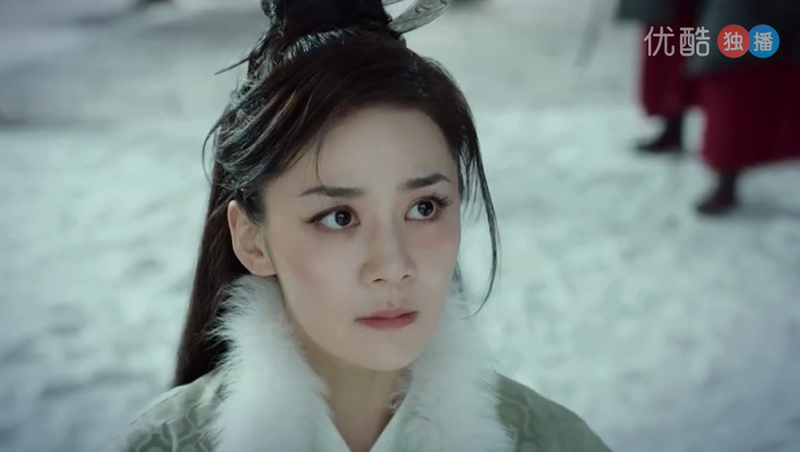 Li Cheng Yin (somehow – it’s not really explained) grows increasingly more attached to Xiao Feng but in order to protect her from the Empress/Zhao SeSe treats her quite badly by constantly scolding her and at one point even physically hurting her. Xiao Feng who also begins to fall in love with Li Cheng Yin still however believes that Li Cheng Yin hates her (and loves Zhao SeSe). Meanwhile Gu Jian becomes increasingly concerned that Xiao Feng is falling in love with Li Cheng Yin. In an effort to ‘protect her’, he abducts her and tries to trigger her memory of the betrayal. His efforts partially pay-off and Xiao Feng remembers Gu Xiao Wu (Li Cheng Yin’s alias in the Western Province) but believes Gu Jian is Gu Xiao Wu. Although she thinks Gu Jian is Gu Xiao Wu she still deeply feels for Li Cheng Yin and returns to the palace to say her last farewell. While within the city gates, Li Cheng Yin spots her and starts a fire to stop her leaving. In the end Xiao Feng is hit on the head by a burning house which properly triggers her memory. My heart broke so many times in this arc. So many times. Xiao Feng remembers Li Cheng Yin’s betrayal/the fate of her family and is devastated. Li Cheng Yin who still doesn’t remember, cannot understand why Xiao Feng hates him so much and becomes increasingly unstable and controlling. Xiao Feng is adamant on leaving, Gu Jian is adamant on taking her away and Li Cheng Yin is adamant that Xiao Feng cannot leave him (the problem in one sentence). What follows is a number of tragic deaths. The first is the death of Gu Jian who is killed on Li Cheng Yin’s order (for trying to take Xiao Feng away and also because he also think Gu Jian is Gu Xiao Wu). The second is A’du who dies breaking Xiao Feng’s fall from the city wall. In the end, Xiao Feng is able to return to the Western Province to her brother. However, Li Cheng Yin with an army arrives to the Western Province to take Xiao Feng back to Central Plains (and wage a war). Xiao Feng in an effort to stop the fighting tells Li Cheng Yin that she never hated him and only hated herself for not being able to kill him for what he did to her family because she loved him too much. Xiao Feng proceeds to ask Li Cheng Yin if he remembers his promise to grant her remaining two wishes. He says he does and Xiao Feng tells Li Cheng Yin to not harm the Xi State and to live well. With that final sentence she kills herself. Xiao Feng’s brother takes her body away and the next scene is of an elderly Li Cheng Yin and loyal General Pei (Li Cheng Yin’s father has a stroke after Mingyue kills herself). 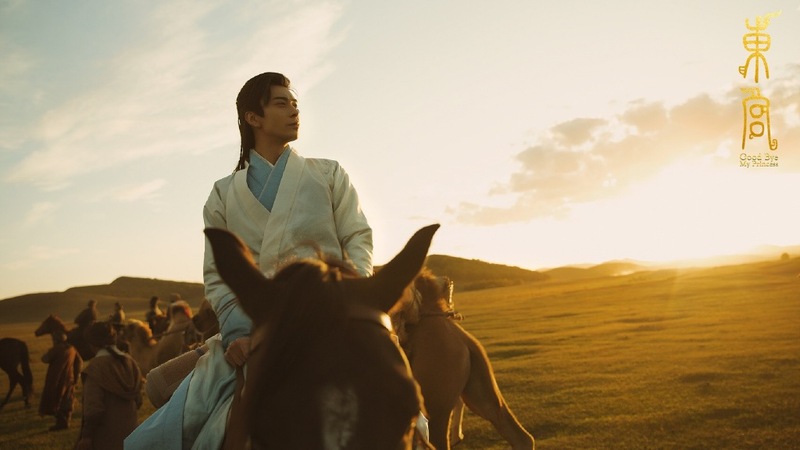 The elder Li Cheng Yin believes that Xiao Feng is still alive and returns to the Western Province so that he can meet her again… the end (till the epilogue). The Epilogue is comprised of four short clips on YouTube or Youku. It does not resurrect anyone from the dead but reunites reincarnations of Xiao Feng and Li Cheng Yin (now a married couple in the 21st century). In the first clip, Xiao Feng wakes up from a nightmare where Li Cheng Yin lets her go. Li Cheng Yin assures her that in this life he will never let her go. He then promises her that when the tea season is done (he is really a tea merchant in this life!) they will go to the grassland and he will catch 100 fireflies for her — I cried a little here too. The following three clips are of Xiao Feng and Li Cheng Yin living a very normal life in the Chinese countryside – very normal. In contrast with all the palace politics in their previous life it is oddly refreshing and somewhat comforting. Although this is not the alternative ending that was initially hinted at, I was actually more satisfied with this type of ending. As pointed out to me, a story should only build up to one ending (making it a coherent story). Having the tragic ending we have that coherent story. Having them reincarnated makes me happy that they could finally find happiness together. What did you think of Goodbye My Princess? Nope…I can’t watch this drama. I don’t think I can handle all the tears. I saw this coming out and it looked really well-done, but I’m so sick of tragic dramas I’ll have to skip it for now. But your review is so perfect and thorough, as always!